Havana (AFP) – Cuba on Sunday designates the 605 members of its National Assembly, an electoral process without surprise since there are as many candidates as seats. But one of them will succeed President Raul Castro in April, marking the first generational change of leadership under the island’s communist rule. For the first time in nearly 60 years, after the era of the Castro brothers, the presidency of Cuba will go to someone who did not fight in the revolution of 1959. Raul Castro, 86, officially became president in 2008 after two years as interim leader, and following his ailing brother Fidel who had governed since seizing power during the revolution. Fidel died in 2016. 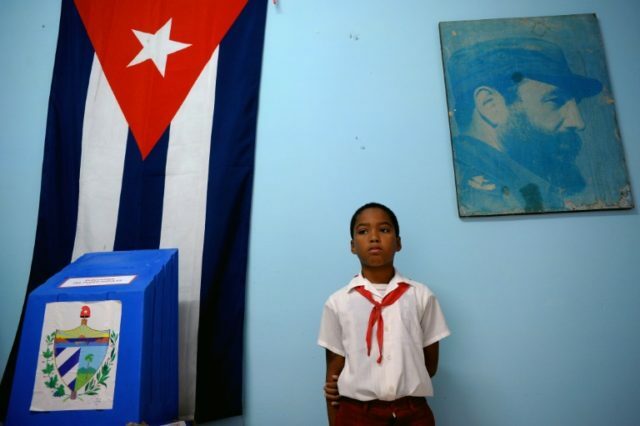 More than eight million Cubans are eligible to vote for provincial assembly delegates and the 605 chosen for the National Assembly, a list screened by the country’s only party, the Communists. Candidates may be either members of the Cuban Communist Party or not, and may also belong to trade unions or be students. “Political parties don’t participate. Campaigns are not financed. The designation of candidates is based on merit, abilities and the commitment of the people,” Raul Castro said in 2017. “Nobody exchanges promises for votes, or boasts of his abilities to get supporters… this is the true and exceptional face of what we proudly call socialist democracy,” the official daily Granma wrote. Among the list of future Assembly members are the leaders of the Cuban Communist Party including Raul Castro, his first secretary-general, and historic figures of the revolution. More than half of the candidates, 322, are women. Cuba’s president is designated by a 31-member body called the Council of State, whose head is automatically president of the country. But the Council of State first has to be selected by the National Assembly. Castro had already announced that he would not be seeking a new term, although he is expected to remain head of the all-powerful Communist Party. His first vice-president, Miguel Diaz-Canel, 57, is widely expected to succeed him and is committed to guaranteeing continuity. Born after the revolution, Diaz-Canel, an engineer, slowly climbed to the top rungs of Cuba’s hierarchy over a three-decade career under Raul’s mentorship. “There will still be a president of Cuba in the process of defending the revolution,” he said in November. “A Cuban citizen will occupy the supreme office of the country but will not have the legitimacy that the triumphal process of 1959 conferred… on the two leaders who guided (the island) during this time,” Julio Cesar Guanche, a professor of law and history, said on the OnCuba website. The legitimacy of the next president will come more from his “institutional performance” rather than his personal history, Guanche said. Cuban dissident Rosa Maria Paya, of the Cuba Decide movement, wants a referendum on modifying the island’s government system and says her group will be watching for signs “of rejection of the electoral process, in which in reality we cannot elect” anyone. Cubans who want to demonstrate opposition typically spoil their ballots. The Otro18 opposition movement is also calling for change. “The citizens do not participate in the choice or the election of the president and we think it’s a decisive moment for the citizens to push a request” to change the electoral system, says Manuel Costa Morua, Otro18’s leader.